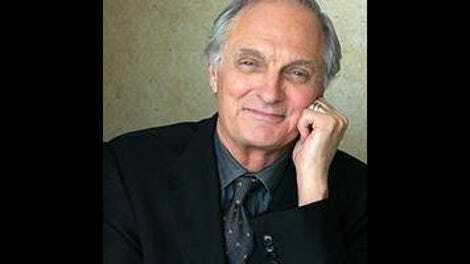 Alan Alda, God bless him, just wants us all to get along. He wants us to connect more, to communicate better, so that there can be better a mutual understanding among all people. This, he believes, will not only lead to a more efficient transfer of information from whoever is teaching to whoever is learning, but will lead to more empathy and kindness in general. What a nice idea; what a nice man. He’s not wrong, but does this general topic make for compelling reading in his hands? Alda’s new book, If I Understood You, Would I Have This Look On My Face?, explores what he calls his “adventures in the art and science of relating and communicating.” It’s about how people can learn to better express themselves, a topic that has him explaining some science, some psychology, some insights from his acting career, and usually some diluted combination of the three. At one point, he has a group of scientists try their hand at some improv exercises, which results in them giving more engaging presentations when they report on their research. Alda’s own presentation is engaging enough. He’s always been a performer who radiates sincerity and empathy, and his genuine interest in his subject is inviting in and of itself. One misses the emotion he tapped in Never Have Your Dog Stuffed, one of the rare celebrity memoirs with literary merit, but the charm of that book’s writing carries over here. And it’s clear he’s using his research in his book, applying his lessons in communicating to the subject of communication. 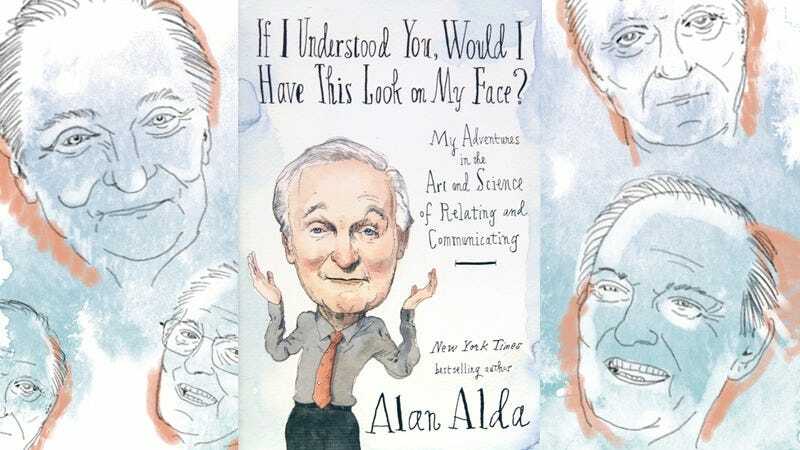 Everyone knows that stories are more memorable than facts without a narrative, and Alda tells a lot of stories, weaving how he learned and applied certain information into the explanation of the information itself. There’s not a ton of suspense in the stories, and none of the people he meets pop as characters with personalities, but there’s a sense of action and movement that carries things along. The book’s biggest problem is that, while some of the specifics of the research and points Alda brings up may be new to certain readers, none of it is particularly surprising. Of course it’s better for a doctor’s bedside manner if he or she explains the reason why something is being done and frames it in a comforting way (“I’m going to protect your eye” rather than “I’m going to cover your eye,” for example. ), and of course making a personal connection will be more memorable than a dry lecture. Other writers who look to entertain while educating, like Malcolm Gladwell or Mary Roach, go a lot deeper into their subjects and their science, unveiling anecdotes or research that’s satisfyingly counter-intuitive or, at the very least, a lot more interesting. And one can’t really blame Alda’s background for this deficiency; Aziz Ansari’s Modern Romance—another title in the peculiar category of “celebrity science explainers”—bursts with insights and information. Perhaps Alda needed a data-focused co-writer, the way Ansari had sociologist Eric Klinenberg, or perhaps “how to communicate” is just too diffuse a topic, too lacking in the kind of hard statistics that can make what he’s talking about feel more concrete. Perhaps a pared down version of this book would work better in magazine form; the cartoon on the cover already suggests The New Yorker. Also, the nobility of Alda’s goal can’t help but underline what’s missing from the book. We’re in an age with a desperate need for greater understanding and empathy, but If I Understood You doesn’t have anything to say about how a strong connection can be used in dark ways, like how, to pick a random example, a populist politician can storm into office on the back of falsehoods because he’s better at riling up the blood. There’s a reason that some people will sincerely believe the most outlandish conspiracy theories, or refuse to believe information just because it counters their biases or suggests they’re wrong about something. Alda’s book is remiss in not addressing those issues. As nice as his worldview is, where everyone just wants to sincerely learn, this meal is desperately missing the spice of cynicism. It’s understandable that Alda, as an actor, wants to provide some advice on how we can all be better performers. That’s only half the story, though. What’s really needed is better audiences. Purchase If I Understood You, Would I Have This Look On My Face? here, which helps support The A.V. Club.